When Is the Best Time to Make Cold Calls? Cold calling isn't one of the most liked careers. The very fact that the word "cold" is used to name the basic, fundamental, and critical task that should be in every sales professional's day tells you there is not much comfort to be found when prospecting. Whether you call it cold calling, prospecting, business development, or fishing, it's worth making sure you are doing it right. Beyond the classic sales techniques, you use, it is also important you make your calls during the right time of day. Making 100 cold calls a day is great and, if done consistently and with skill, should lead to success. But making those 100 calls during the best times of the day will be like adding jet fuel to a smoldering fire. A quick reminder is called for when talking about being more effective with your prospecting. 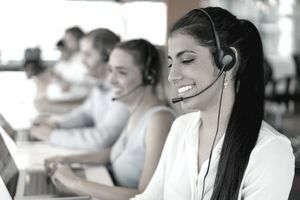 It should be pretty obvious that cold calling is like a tug-of-war: You need at least two people for it to work before it becomes a warm prospect. That means you and a customer. Of the two people involved, your first key to success is to put your customer first. That means if you are going to call on a prospect, you better have something important to say. Very few people like interruptions during work. Most want to get to their office (be that in a skyscraper or at their kitchen table) and get their work done. A sales professional stopping in or calling with nothing important to say is a time waster that many in the business world simply will not tolerate. If you cold call, make sure you are targeting the right type of customers, delivering the right message and delivering that message clearly and succinctly. Before we jump out of our customer's mind, put yourself in your customer's shoes for a minute. If you were the type of customer that you would prospect, what time of day would be busiest for you? What time of day would you use to prepare, plan and review? When would a cold call be the most annoying? The problem is many sales reps don't consider their customer's schedule and make calls around their schedule. The fewest number of cold calls are made during lunch time. Why? Because sales reps need to eat! If your prospect has a receptionist who screens calls and decides which visitors get in the door and which are sent packing, knowing the gatekeeper's schedule is the first clue in when to prospect. If you can avoid having to go through the gatekeeper to get right to your prospect, you'd do it, right? So many sales reps start making their cold calls in the morning (after a couple of cups of coffee and some water cooler talk), before or right after lunch. That's prime time for the gatekeeper to be protecting the gates. Try making your cold calls before and after normal business hours. The gatekeeper probably isn't at work yet but your prospect may be. You'll avoid the gatekeeper and get directly to your prospect. Therefore, the best times to cold call are early in the morning and after normal business hours.